Coverings, the largest international tile & stone show in North America, invites the industry to join in celebrating National Tile Day on February 23. Established in 2017 to recognize the value and importance of tile in architecture and design, the Registrar at National Day Calendar has marked the annual celebration of this timeless, global element of architecture and design. Building on the tile industry’s “Why Tile?” initiative, National Tile Day champions the merits of tile that make it one of the most practical building materials. These merits include tile’s durability and sustainability; resiliency; versatility in use, indoors and out; ease of upkeep and maintenance; energy efficiency; and health benefits, including no VOCs. These factors, along with its beauty and flexibility, allow designers to utilize tile in its many forms to create unique and stunning installations that last a lifetime. 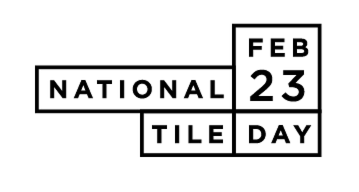 On Friday, February 23, National Tile Day will be celebrated with unique digital activations, providing special opportunities for trade and consumer audiences to learn more about tile. Members of the industry are invited to join the conversation on social media by sharing new products and trends or inspiring projects that showcase the many benefits of tile while using #WhyTile, #NationalTileDay, and #Coverings2018. 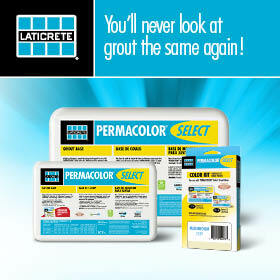 For full details regarding Coverings and National Tile Day, please visit coverings.com/nationaltileday. Following National Tile Day, the 2018 Coverings show provides ample opportunities for its attendees to learn about installation standards and best practices, the merits of selecting tile, and the latest introductions to the tile market. Attendees will also have access to a thorough program of CEU-accredited seminars, demonstrations, and networking opportunities. 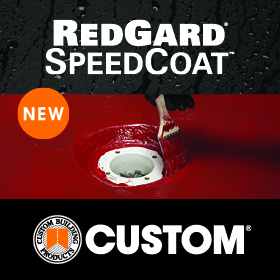 Coverings returns to the Georgia World Congress Center in Atlanta, GA from May 8-11, and will bring together 1,100 exhibitors representing over 40 countries across 400,000 square feet of exhibition space.